Marvel Entertainment is excited to announce a renewed exclusive agreement with blockbuster writer Jason Aaron! 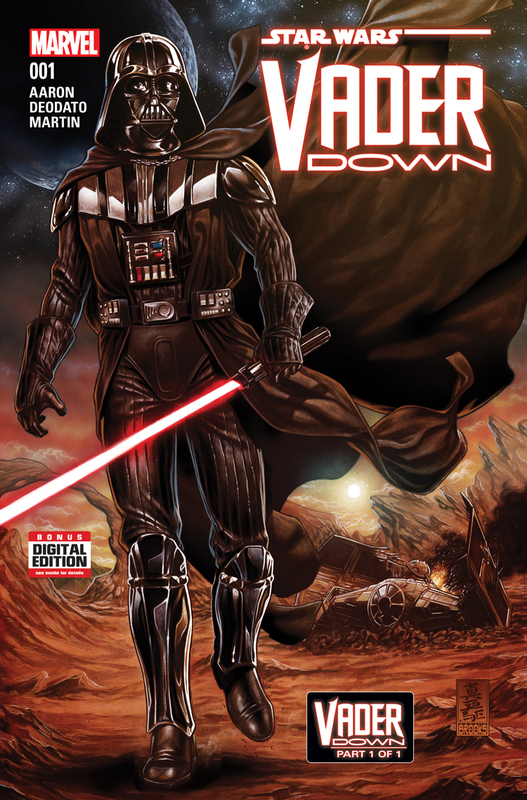 Earlier this year, Aaron shattered sales records with the release of STAR WARS #1. Selling over 1,000,000 copies, this astonishing debut issue marks the highest sales for a single issue in over two decades. Chronicling the adventures of Luke, Han and Leia after the destruction of the first Death Star, this flagship series of Marvel’s new Star Wars line continues to garner widespread critical praise. In addition to Star Wars and Doctor Strange, Aaron will also launch THE MIGHTY THOR #1 this November. In collaboration with artist Russell Dauterman, Aaron will continue writing the character of Jane Foster, as she experiences her early days as the God of Thunder. By making his exclusively Marvel, the writer’s lengthy stint at the House of Ideas is now set to continue through 2016 and beyond! Once again, Marvel is pleased to welcome Jason Aaron back to for more blockbuster comics in the Mighty Marvel Manner!